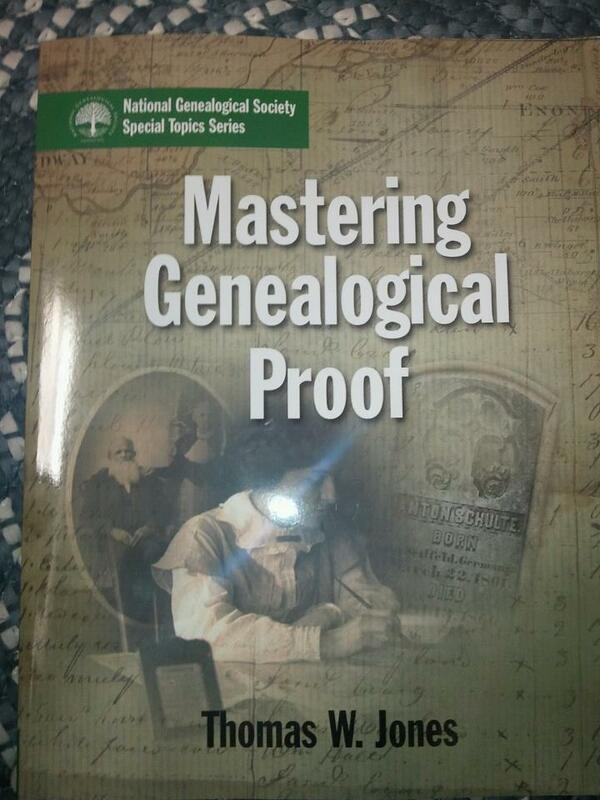 I am studying Thomas W. Jones "Mastering Genealogical Proof" book this week. 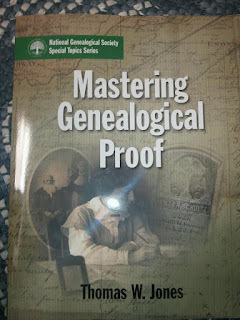 All research has been set aside because I want to finish this book and start practicing the principles of the Genealogical Proof Standard, now that I have a better understanding of them. I am on Chapter 3 and on page 25 there is a table on Suggestions for Identifying Sources to Answer Genealogical Questions. 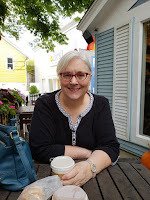 The last suggestion Dr. Jones gives is "study documented articles and compiled genealogies of families in relevant areas, even when the families seem to be of no interest, to learn about the sources their authors used." As genealogists we get so wrapped up in our own research and the numerous resources we need to find for our own ancestors, why would we want to read about someone else's ancestors? After I read the suggestion, I thought that made a lot of sense. Why Didn't I Think of That? I can see this particularly useful for areas where my research is struggling. Now, I need to plan a visit to Allen County Genealogy Center, check their online catalog for compiled genealogies, check PERSI for articles, and find new sources to further my research.